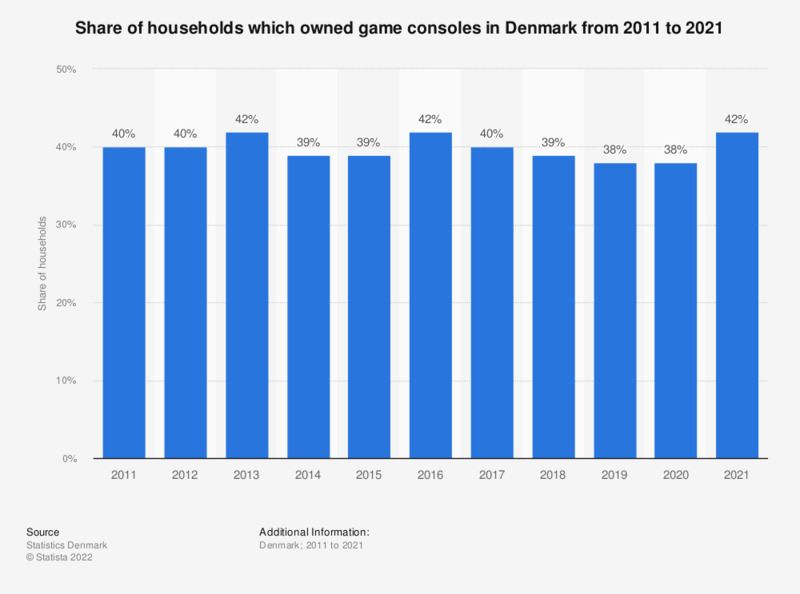 This statistic shows the game console ownership rate in households in Denmark from 2011 to 2018. The highest ownership share was 43 percent, which was reached in 2013 and 2016. In 2018, the ownership rate was 39 percent.